“The name, “Chicago Counts” stands for COnference Uniting Nonprofits and Technology,” said Heidi Massy, event coordinator. “ Chicago Counts” is designed to offer nonprofit professionals and volunteers a cost effective entry to the world of technology, social media and social networking,” she stated. According to Ms. Massey, sessions are kept small deliberately to allow attendees personalized attention. Regular admission costs $35 for the daylong event, which includes lunch provided by Wow Bao. Chicago Counts 2012 is a project of Ms. Massey’s firm, CommunityConnective, a company that helps nonprofit organizations come into the 21st century through innovative engagement strategies, guiding organizations in their technology choices, and creating exciting programs and events. The event is sponsored by the Pierce Family Charitable Foundation, Mobile Citizen, LISC Chicago and SNtial Technologies. Called one of the “25 Very Smart Business Women to Follow on Twitter” and one of the “20 Social Media Divas You Should Be Following”, Allen Mireles is an integrated marketing and social media strategist, trainer and public speaker. She combines more than 25 years of experience in traditional marketing and public relations with social media expertise, practicality, and humor to help her clients understand how to use social media tools and marketing and public relations strategy to meet business objectives. Mireles is principal of Allen Mireles Marketing, an integrated marketing and social media consultancy based outside of Toledo, Ohio, and founded in 1993 as Allen Mireles Marketing Communications. The firm has a diverse international client base in healthcare IT, manufacturing, and education. CommunityConnective helps nonprofit organizations come into the 21st century through innovative engagement strategies, guiding organizations in their technology choices, and creating exciting programs and events. This includes volunteer recruitment/management, social media, creating effective online content and leadership development. 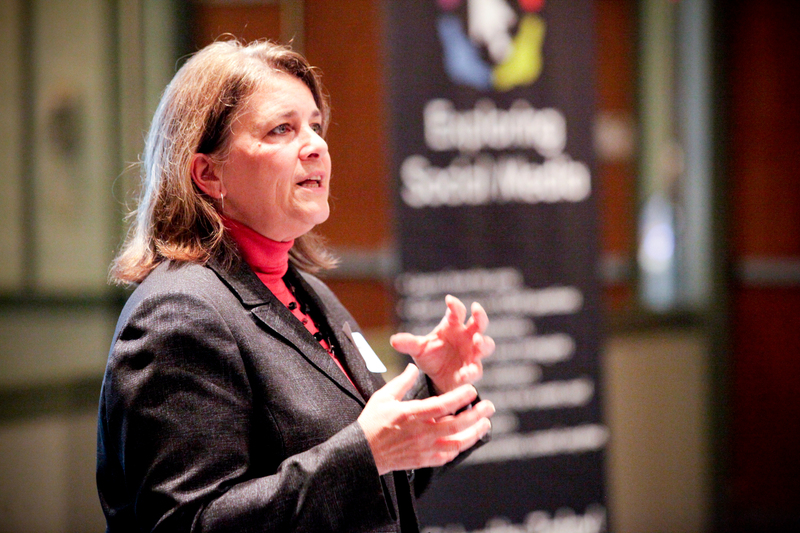 Chief Connector, Community Builder and Founder Heidi Massey, is available for speaking engagements and teaching opportunities. Fill out my contact form, give me a call, send an email, or find me on social media. I can't wait to hear about your project! Allen Mireles Consulting is an integrated marketing and social media consultancy based outside of Toledo, Ohio. Founded in 1993 as Allen Mireles Marketing Communications, and led by Allen Mireles, we specialize in developing practical integrated marketing and social media solutions to help brands achieve their business goals.